There she is in her white button down shirt with black tights with no pants singing, “I’m Still Here” from Follies. It seems like the perfect song for her. 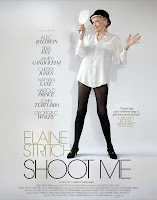 Like every song Elaine Stritch sings, she makes it fit for her and where she is at in this moment of her life. Her rendition of “I Feel Pretty” is not like the one you grew up hearing. Legendary Broadway actress Elaine Stritch is not known for being a shy, private, or hidden person. 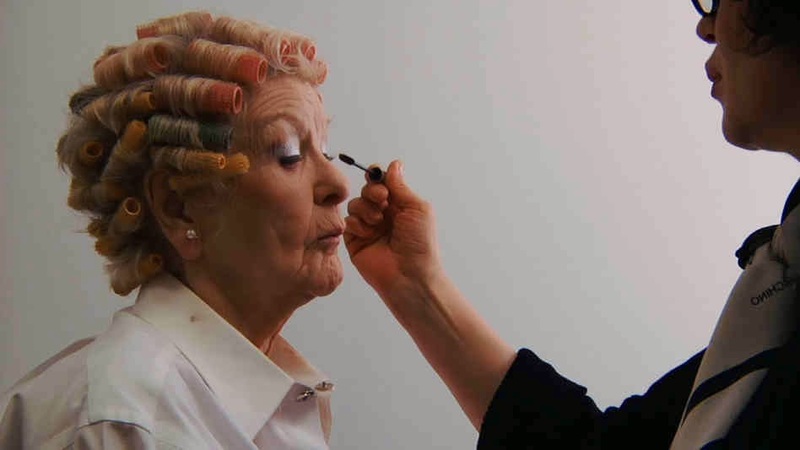 Even at the age of 86, she puts it all out there and doesn’t care what anyone else thinks. 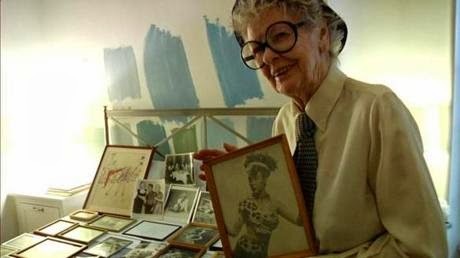 If you ever saw her one-woman show “Elaine Stritch At Liberty”, you know what I mean. In this new documentary, Elaine proves she is just as busy as ever. This love of performing, the theater, and her audience is what keeps her going. The film picks up as her run as Colleen Donaghy on “30 Rock” is ending. She is seen shooting her final scenes with Alec Baldwin and Tina Fey. There is this feeling that she can be hard to work with at times, but she is always worth it. She lives at the Carlyle and is prepping for another cabaret act where she plans on singing the songs of composer Stephen Sondheim for the Cafe Carlyle and then taking the show out on a mini tour. Her diabetes slows her down, but she never feels completely defeated. At the same time, she knows how far to push herself, when to stop, and makes no apologies about it. Why should she? She’s 86-years-old and can do whatever she wants. I admire her frank openness to her health and what she allows to be shown on camera. She is someone that definitely puts it all out there regardless of her age or how she looks. At one point during the film, she is being honored with a rehearsal hall being named after her at the Stella Adler studio. She is tasked with picking out old photos and show posters for decoration. It provides for a wonderful trip down memory lane as she looks back at her career on stage and on the silver screen. It is quite astonishing when you think about the career she has had and how far back it dates. There is footage of her with Bela Lugosi, Rock Hudson, Ben Gazarra, and James Gandolfini. The film isn’t just a career highlights reel as she is quite open about her struggles with alcoholism and diabetes and provides a peak into her loving marriage to her late husband John Bay. I had no idea that he was part of the family that began Bay’s English Muffins. There is something sweet and endearing as she still has this love of those muffins and makes them part of her daily routine. As a performer, I find her tenacity and love of the art so admirable and inspirational. I am fascinated with hearing about old Hollywood and the golden days of Broadway. Many actors of her age have long since retired and are living private lives. She easily could have retired years ago, but she continues to keep working and refuses to let her health stop her. Is it worth your trip to the movies? Absolutely. 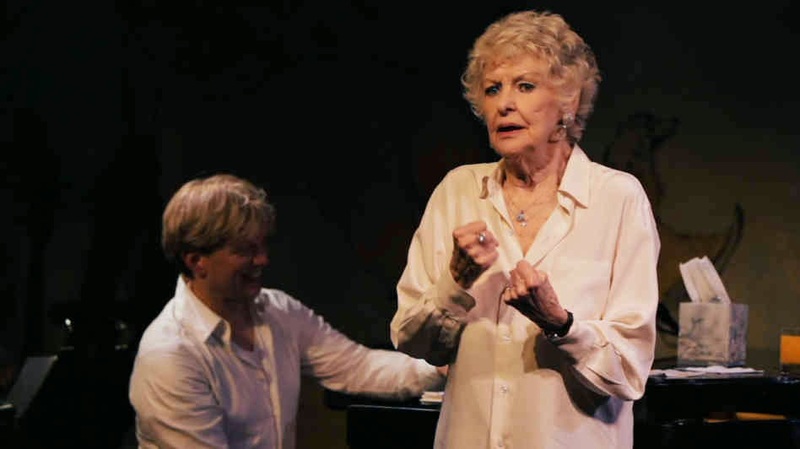 Even if you are not as familiar with her work, Stritch provides some lessons on living life that are inspirational.